There are things money can’t buy: integrity, honor, discipline. Unfortunately for Seymour Herson, he’s got a more pressing matter at hand: surviving eighth grade. He’s dead last in just about everything at Glendale, the Manhattan private school his parents are working so hard to keep him in. His grades are so low a C warrants a celebration. His athletic skill is limited to how much chocolate milk he can drink in one sitting. You’d think someone with such a natural knack for underachieving could at least have a pretty good social life, but Seymour’s more familiar with the lockers he’s been stuffed in than the kids they belong to. To top it off, being bullied constantly lands him in detention along with his tormentors. His newest? 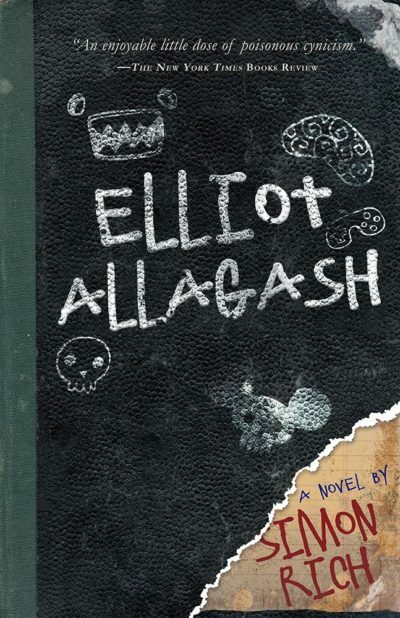 Elliot Allagash, heir to the Allagash fortune, descendant of the inventor of paper, particularly talented at pushing kids down the stairs. But Elliot’s interest seems to go beyond run-of-the-mill bullying. Bored with being forced to study alongside commoners, Elliot sees a golden opportunity to bring chaos to Glendale’s entire social order: Seymour. Set on transforming Seymour into the most popular and successful kid in school, Elliot takes matters into his own evil little hands. With his vast amount of money and questionable connections, making Elliot a superstar should be a piece of cake. If a few lives get ruined in the process, that’s just a happy little coincidence. If only Seymour wasn’t so dead set on being nice.